Pioneering cartoon animator Joseph Oriolo was born in New Jersey in 1913, one of six children in an Italian immigrant family. As a child, he drew constantly and dreamed of becoming a cartoon animator. In 1933, in the midst of the Depression, he went to work for a renowned animation house, the famous Fleischer Brothers Studios, for the princely sum of 10 dollars per week. Three years later, Joe married his high school sweetheart, Dorothy, and moved to Miami, Florida when Fleischer Brothers relocated there. 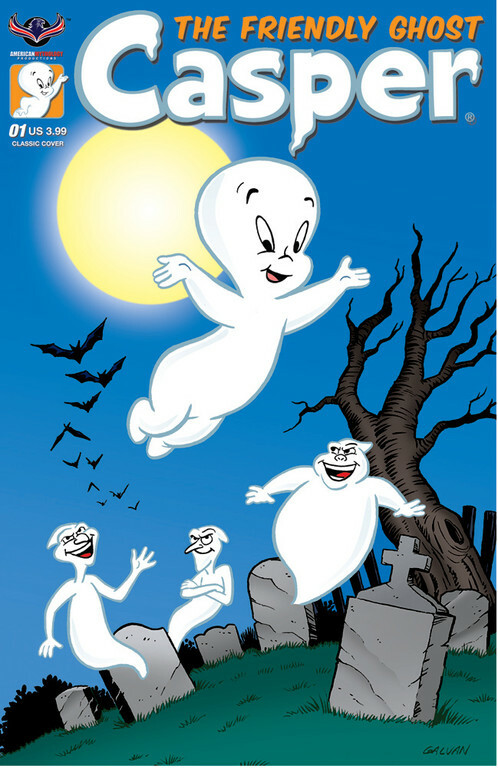 It was in Miami that Joe’s two children were born, a daughter, Joan, and a son, Joseph Jr.
During this time, another one of Oriolo’s most famous creations, “Casper The Friendly Ghost“, was conceived. It happened one Halloween night, Joe’s young daughter Joan became frightened by the stories of goblins and other evil creatures that the neighborhood children had been taunting her with. Reacting as any good father would, Joe found some cardboard and quickly made a cut-out figure of a new kind of ghost; a kind, non-threatening ghost. Next, he hung the ghost in a backyard tree, and brought Joan outside to meet her new friend. Casper, “The Friendly Ghost” was born. In 1943, after Paramount Studios bought Fleischer Brothers, the Oriolo family moved back to New Jersey, with their new son, Don. At Paramount, Joe was introduced to Otto Messmer, the creator of Felix The Cat. As he worked side by side with Messmer, Joe further honed his creativity and style. In 1958, Joe became business partners with Pat Sullivan, nephew of William O. Sullivan, the original copyright owner of Felix the Cat. Together they created the pilot show for the award-winning Felix the Cat television series. During this period, Joe was inspired to create a new cartoon character, Poindexter. Joe’s inspiration was a real-life Poindexter- his lawyer, Emmet Poindexter, a short, intelligent man who wore heavy black glasses. The final chapter of Joseph Oriolo’s amazing career saw him producing and directing 235 full-color cartoons for Trans-Lux Studios. Many of these cartoons featured Poindexter. Respected and loved throughout the industry, Joseph Oriolo passed away in 1985. Nevertheless, the Oriolo Family continues to breathe life into his creative visions to this day.